Once again, China-hifi-Audio updates its stock, bringing several new products for its customers, which include G&W audiophile power filter socket, BADA LB-5600, Qinpu A-6000 MKII and other products. According to the spokesperson of China-hifi-Audio, they have a team that keeps researching on new and advanced products introduced on the market. These professionals handpick products after testing their quality and this is the reason why customers can remain assured of getting the best quality products in their stock all the time. Besides ensuring availability of the feature-rich products for the music lovers around the world, the online store also endeavors to keep the prices affordable for its customers. One of the important products that are now available in their stock is the G&W audiophile power filter socket. This high-end audio socket is designed to sweeten, thicken and moisten the voice. With the string rubbing texture, one can witness an improved clarity and charm in the voice. With the piano’s strength and dynamism, the transparency of the sound is significantly improved. It can also improve the performance of the weak tone with more accuracy and the sound is more solid to get a physical sense. The socket is also suitable for playing high-definition videos with its power filter type purifier. It can also increase the image clearness and color saturation by 20-30%. One can also find another feature-rich product in their inventory now, which is the BADA LB-5600 power filter socket plus a power cable. The 100% brand new product is the best matching product for Hi-Fi power in Europe and comes with a one-year warranty. Its filtering circuit is employed with Wima MKP capacitors and its Single T and Double T filtering circuits can meet different demands of the music listeners. The product comes with a breaker reset switch that ensures overload protection and surge protection. It has two separate sockets for PCs, DACs, CD and DVD players, two separate sockets for amplifiers, receivers and video sources and two separate sockets for with no-line filters. It also features a detachable power cord system with a voltage meter. Although the online store has different types of products, but the Qinpu A-6000 MKII worth a mention. This tube integrated amplifier comes with a headphone amp and features a high-end power supply. This small size product can take a person to a completely different music world to shock his/her senses. This fine tube transistor amplifier performs fantastically everywhere, whether it’s someone’s bedroom or living room. The amplifier comes with the MP3 and iPod inputs and can produce sufficient power to push large speakers. 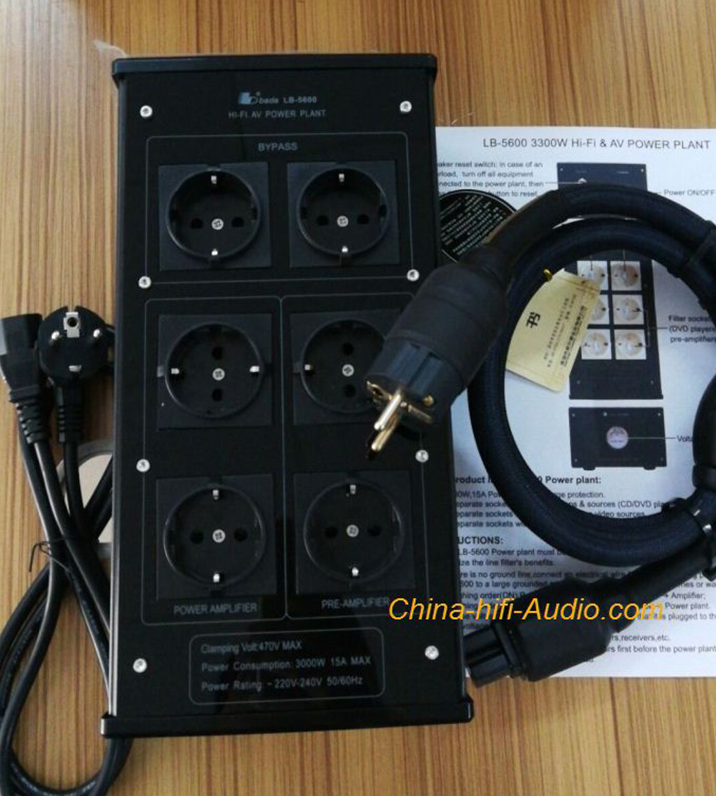 One can learn more about these new products now available in the stock of China-hifi-Audio by visiting the website https://www.china-hifi-audio.com.